Sc doped M-type hexaferrite BaFe10.2Sc1.8O19 was prepared with the conventional solid state reaction method. The phase and magnetic property transition processes in the sintering process of M-type hexaferrite BaFe10.2Sc1.8O19 have been investigated. Results show that the spinel phase BaFe2O4 and ion-deficient M-type hexaferrite dominate when sintering temperature is lower than 1000˚C. The M-type hexaferrite BaFe10.2Sc1.8O19 appears above 1050˚C and does not become a single phase until 1200˚C. Both the remanence ratio and coercivity of the samples decrease with increasing sintering temperature and drop to nearly zero above 1200˚C. However, the saturation magnetization of the samples increases with increasing sintering temperature until 1050˚C and then decreases. The magnetic property transition process agrees well with the phase transition process. The above results show that incorporation of Sc3+ into the M-type hexaferrite needs a higher thermal energy than that of Fe3+, and will lead to a drastic change in the magnetic properties of M-type hexaferrite. Went, J.J., Rathenau, G.W., Gorter, E.W., et al. (1952) Ferroxdure, A Class of New Permanent Magnet Materials. Philips Technical Review, 13, 194. Smit, J. and Wijn, H.P.J. (1959) Ferrites. Philips Technical Library, Eindhoven, The Netherlands. Guan, Y.J., Lin, Y.B., Zou, L.Y., et al. (2013) The Effects of Co-Ti Co-Doping on the Magnetic, Electrical, and Magnetodielectric Behaviors of M-Type Barium Hexaferrites. AIP Advances, 3, 122115. Sugimoto, M. (1999) The Past, Present, and Future of Ferrites. Journal of the American Ceramic Society, 82, 269-280. Harris, V.G., Chen, Z.H., Chen, Y.J., et al. (2006) Ba-Hexaferrite Films for Next Generation Microwave Devices. ChemInform, 37. Xu, P., Han, X. and Wang, M. (2007) Synthesis and Magnetic Properties of BaFe12O19 Hexaferrite Nanoparticles by a Reverse microemulsion Technique. The Journal of Physical Chemistry C, 111, 5866-5870. Harris, V.G., Geiler, A., Chen, Y.J., et al. (2009) Recent Advances in Processing and Applications of Microwave Ferrites. Journal of Magnetism and Magnetic Materials, 321, 2035-2047. Van Uitert, L.G. and Swanekamp, F.W. (1957) Permanent Magnet Oxides Containing Divalent Metal Ions. II. Journal of Applied Physics, 28, 482. Mones, A.H. and Banks, E. (1958) Cation Substitutions in BaFe12O19. Journal of Physics and Chemistry of Solids, 4, 217-222. Haneda, K. and Kojima, H. (1973) Magnetization Reversal Process in Chemically Precipitated and Ordinary Prepared BaFe12O19. Japanese Journal of Applied Physics, 12, 355. Batlle, X., Obradors, X., Rodríguez-Carvajal, J., et al. (1991) Cation Distribution and Intrinsic Magnetic Properties of Co-Ti-Doped M-Type Barium Ferrite. Journal of Applied Physics, 70, 1614-1623. Cho, H.-S. and Kim, S.-S. (1999) M-Hexaferrites with Planar Magnetic Anisotropy and Their Application to High- Frequency Microwave Absorbers. IEEE Transactions on Magnetics, 35, 3151-3153. Albanese, G. and Deriu, A. (1979) Magnetic properties of Al, Ga, Sc, In Substituted Barium Ferrites: A Comparative Analysis. Ceramurgia International, 5, 3-10. Kakizaki, K., Hiratsuka, N. and Namikawa, T. (1997) Fine Structure of Acicular BaCoxTixFe12-2xO19 Particles and Their Magnetic Properties. Journal of Magnetism and Magnetic Materials, 176, 36-40. Perekalina, T.M. and Cheparin, V.P. (1968) Ferrimag-netism of Hexagonal Ferrites. Soviet Physics: Solid State, 9, 2524. Mallick, K.K., Shepherd, P. and Green, R.J. (2007) Magnetic Properties of Cobalt Substituted M-Type Barium Hexaferrite Prepared by Co-Precipitation. Journal of Magnetism and Magnetic Materials, 312, 418-429. Tokunaga, Y., Kaneko, Y., Okuyama, D., et al. (2010) Multiferroic M-Type Hexaferrites with a Room-Temperature Conical State and Magnetically Controllable Spin Helicity. Physical Review Letters, 105, Article ID: 257201. Sakai, T., Chen, Y., Chinnasamy, C.N., Vittoria, C. and Harris, V.G. (2006) Textured Sc-Doped Barium-Ferrite Compacts for Microwave Applications below 20 GHz. IEEE Transactions on Magnetics, 42, 3353-3355. Chen, Y., Nedoroscik, M.J., Geiler, A.L., Vittoria, C. and Harris, V.G. (2008) Perpendicularly Oriented Polycrystalline BaFe11.1Sc0.9O19 Hexaferrite with Narrow FMR Linewidths. Journal of the American Ceramic Society, 91, 2952-2956. Wang, L. and Zhang, Q. (2009) Effect of Fe3+/Ba2+ Mole Ratio on the Phase Formation and Microwave Properties of BaFe12O19 Prepared by Citrate-EDTA Complexing Method. Journal of Alloys and Compounds, 469, 251-257. Hessien, M.M., Rashad, M.M. and El-Barawy, K. (2008) Controlling the Composition and Magnetic Properties of Strontium Hexaferrite Synthesized by Co-Precipitation method. Journal of Magnetism and Magnetic Materials, 320, 336-343. Rashad, M.M., Radwan, M. and Hessien, M.M. (2008) Effect of Fe/Ba Mole Ratios and Surface-Active Agents on the Formation and Magnetic Properties of Co-Precipitated Barium Hexaferrite. Journal of Alloys and Compounds, 453, 304-308. 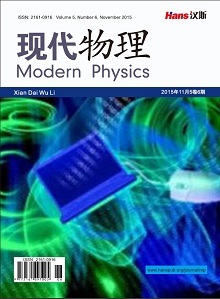 Zhang, W., Bai, Y., Han, X., et al. (2013) Phase Formation, Sintering Behavior and Magnetic Property of Bi-Co-Ti Substituted M-Type Barium Hexaferrite. Journal of Alloys and Compounds, 556, 20-25. Obradors, X., Collomb, A., Pernet, M., Samaras, D. and Joubert, J.C. (1985) X-Ray Analysis of the Structural and Dynamic Properties of BaFe12O19 Hexagonal Ferrite at Room Temperature. Journal of Solid State Chemistry, 56, 171-181. Röschmann, P., Lemke, M., Tolksdorf, W. and Welz, F. (1984) Anisotropy Fields and FMR Linewidth in Single- Crystal Al, Ga and Sc Substituted Hexagonal Ferrites with M Structure. Materials Research Bulletin, 19, 385-392. Dionne, G.F. and Fitzgerald, J.F. (1991) Magnetic Hysteresis Properties of BaFe12−xInxO19 Ceramic Ferrites with C-Axis Oriented Grains. Journal of Applied Physics, 70, 6140-6142.